The film marks the Directorial Debut of Jorge Diaz De Boya. Since it's Latin American Theatrical Premier, Diazdeboya has been likened to a young tarentino by one of Argentina's top Newspapers. The film has very real characters, excellent dialogue, action and moments of hilarity. Watch it Free when you sign up for a trial of Starz through Amazon Prime! If you don't already have starz, you can get a free trial through Amazon Prime. Here are some handy dandy links to get you started. Once you've gotten the Extension, log in to your Amazon Prime Instant video app and look at the additional content available to you through Starz. Keep in mind, Cicada Moon Won't be available for streaming until December 1​0! ​Contact Al Perez, President APM Entertainment. 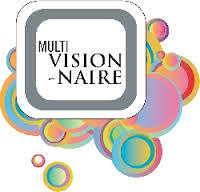 ​contact Sean Haley, CEO Multivisionnaire.